This abandoned warehouse downtown was the perfect spot for a new fitness center. Cory Oberlander was content on returning to his hometown Casselton, ND after the expansion of his ag consulting business, Agveris Inc., but he soon realized, after visiting with friends and community members, Casselton was missing a few key services important to its future growth. One of the things it was lacking was a dedicated, full-service fitness center. At the same time, an old, abandoned warehouse across the street from Cory’s Agveris business went up for sale. 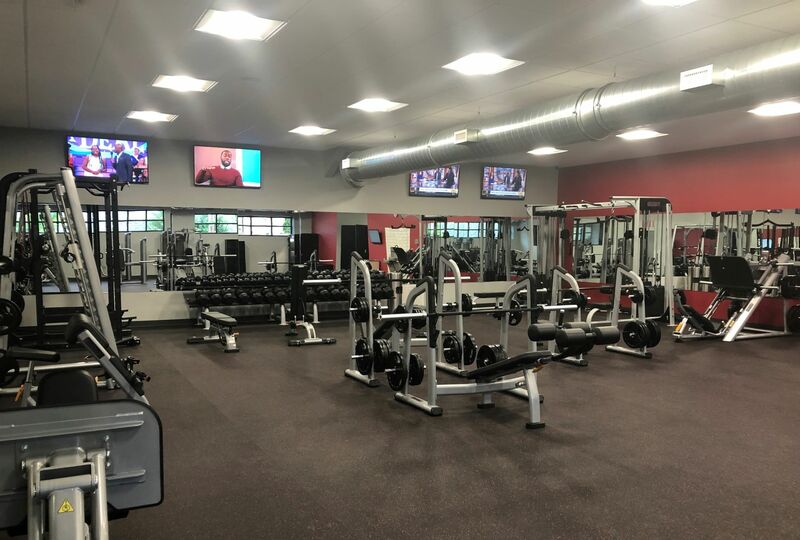 Cory knew that this would be the perfect spot for a brand-new fitness center and soon, after a short conversation with the real estate broker, Cory decided to purchase the building and start on yet another business venture. And thus, TruCore Fitness was born. ‍ ‍The building needed a total renovation, which was made possible due to the 504 small business loan. Before beginning the renovation and startup process, Cory had a few obstacles to overcome. The Small Business Development Center stepped in and provided vital information and resources for Cory to move along with this project including financial projections out to 60 months, but his biggest one was finances. Given that he would not only have the purchase the building, but also execute a total renovation, Cory needed a substantial amount of capital to move this project forward. This is when he decided to reach out to Dakota Business Lending in order to utilize another 504 loan. “I knew this project was going to require a lot of capital to get done what we envisioned, and as with the Agveris building, the only way we would be able to have it done was by one of Dakota Business Lending’s small business loan programs,” Cory explained. “They offer a 15% down payment for startup companies that makes projects like this possible.” Soon after, Dakota Business Lending, in partnership with BankNorth in Casselton, was able to help Cory through a lot of his obstacles and provide him with the capital he needed to get this project going. 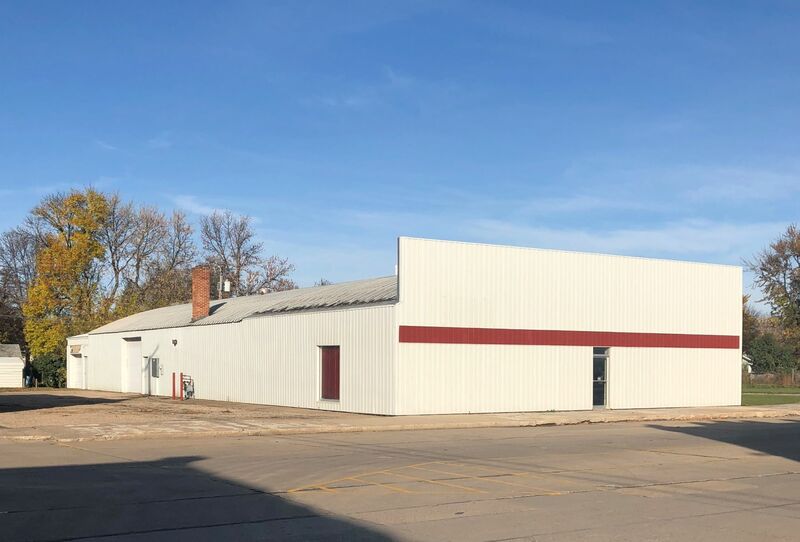 “We ran into a few hurdles along the way, but the Dakota Business Lending team was relentless on seeing this project through to the finish and executing it. I had a lot of respect for the team after working with them on the Agveris building, but with TruCore, I realized that they are extremely professional and are absolutely top notch. Now with the finances figured out, Cory was able to move forward planning the project. His initial dream for this was to create a fitness center that anyone can use and enjoy. He wanted members to not only get a great workout, but to do it in a large, modern facility with great equipment. 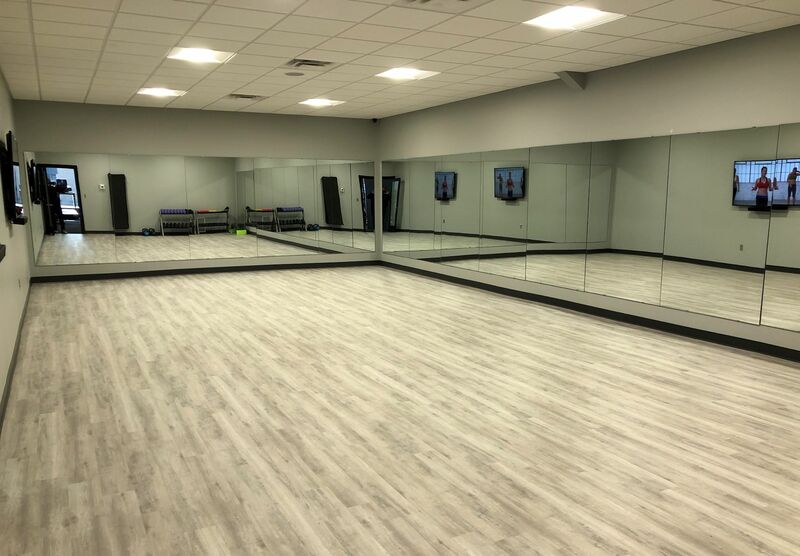 Every aspect, from the layout, design, material and finishes, to the technology,lighting, music, and even to the equipment itself, Cory wanted each person that walks through TruCore’s front door to feel welcome and to have a great fitness experience. To achieve this, Cory took on this venture with his wife, Erika, who could help with these pieces of the puzzle. Cory and Erika spent endless hours researching and planning every little detail of their new state-of-the-art facility. Being the visual people that they are, they worked tirelessly on every aspect of the building. Countless hours went into planning where to place everything from the main entrance, window sizes and location, locker rooms, and fitness studios as well as the location of the different rooms with all the equipment in it. They segregated the different workout areas to keep members realized and comfortable while working out. Overall, they wanted a place where everyone – from 12 years old to 90 years old would feel welcome. “Erika was really good at executing the fine details of the project, especially the interior design. She had a great eye for that. While I was more the visionary and “big picture” kind of guy, she took care of all the details,” Cory bragged. “We worked really well as a team.” Together, they were able to work and design a space to achieve this vision. When researching and planning, Cory and Erika decided to interview various people throughout the fitness industry and asking them what triggers them to go to other facilities and what they enjoy most. The unanimous response? The equipment. This is why Cory and Erika decided to go with the best of the best. In addition to high-end equipment, TruCore also offers many various classes from yoga and spinning to core and strength training. They are also one of a the few places in North Dakota that offers “Fitness on Demand.”This is an interactive fitness program that allows individuals or groups to choose from over 300 classes on their large, interactive video screens and workout to any live or taped class at any time of the day or night, providing yet another perk to their members. Cory and Erika have received very positive feedback from customers and the community since opening at the end of April 2018. 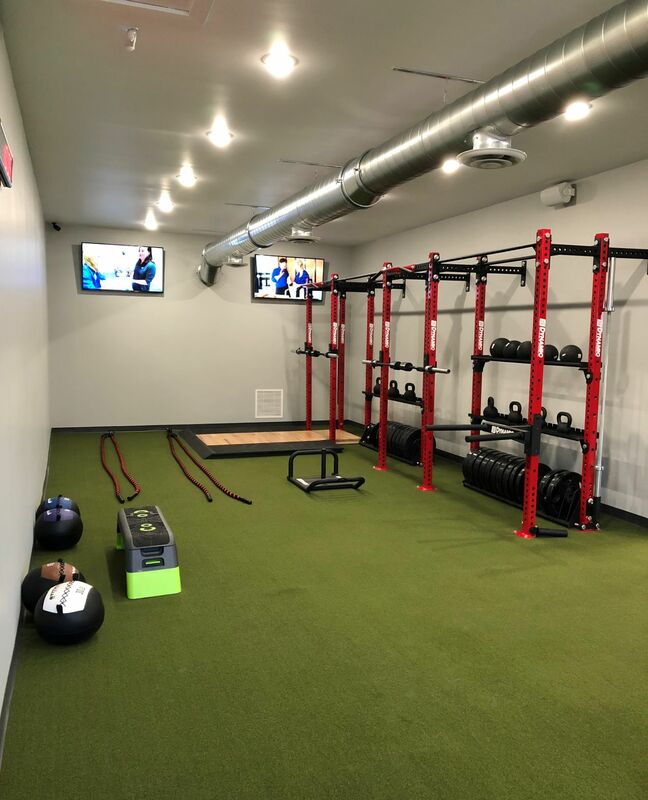 Many have commented on how the premium equipment and facility has provided them with a space to start working out again without having to drive to Fargo, inspiring them to live healthier and happier lives. Cory’s only hope was that the facility would help facilitate a healthier, more vibrant community, and it appears to have done just that. ”The community of Casselton was really lacking a true fitness center,” stated Cory. “Whether people use the facility or not, it has at least gotten the conversation started and prompted people to think more about being healthy. Healthier communities are more vibrant and a better place to live, and we have certainly started that process.” TruCore also serves and gives back to the community through various school and community fundraisers. This past year, they donated their facility as the starting and ending point for the 5K marathon held at the annual Cass County Summer Fest. Runners were able to use their showers and facility before and after the race. Pictured from L to R are Janeice Pierce (TruCore Fitness' Manager/Personal Trainer), and Erika and Cory Oberlander (Owners). “You can feel the momentum building, and it’s bringing with it a re-vibrance and energy to downtown to where commercial development groups are willing to take the risk to invest and repurpose these old buildings downtown." After this experience, Cory had one piece of advice for anyone looking to start or expand their own business: to never give up. Despite any obstacles, Cory encourages entrepreneurs to keep their eyes on their vision,to make a difference, and to focus on their determination and work ethic in order to overcome hurdles. For more information on TruCore Fitness, their facility, and memberships, visit their website at www.trucorefitness.com.